The furniture store you've been waiting for. Warfield, Kentucky. Buying furniture for your home comes down to two things: quality and price. You want the highest-quality furniture without having to sell your car to get it. That's why Warfield Furniture & Appliance goes the distance to provide its customers with great furniture at the best prices on the market. We sell almost any kind of home furnishing you need. From mattresses and couches to recliners and refrigerators, we sell it all. We only carry the best brand names, such as England-Corsair, Restonic , and La-Z-Boy™. Take a look at what we have to offer and see how Warfield Furniture & Appliance can help you take care of your home furnishing needs. NAME BRAND APPAREL FOR THE ENTIRE FAMILY!SUCH AS LEVI STRAUSS, DOCKERS, MOSSY OAK, JOHN DEERE, KORET DRESSES,BONNIE JEAN DRESSES, ZIP ZAP, AMY BAYER DRESSES AND ASSORTED LADIES APPAREL WITH PLUS AND PETITE SIZES AVAILABLE!! Being comfortable in your home isn't a luxury; it is a necessity. So when you decide it's time to get that recliner you deserve, come to Warfield Furniture & Appliance, where you get quality furniture at unbeatable prices. With our wide selection of merchandise, you are bound to leave with a smile on your face and what you wanted in the delivery truck. We offer same-day delivery, so you don't have to wait to enjoy your purchase. Our professional sales team will work with you to make sure you know exactly what it is you want, and if it's not here in the showroom, we can special-order it for you. So if you're looking for great furniture without the high costs and the hassle, come to Warfield Furniture & Appliance and let us take care of you. It's what we do best. Come to the furniture store that has it all. Contact us or stop by our Warfield, Kentucky,location for anything from a recliner to a refrigerator. 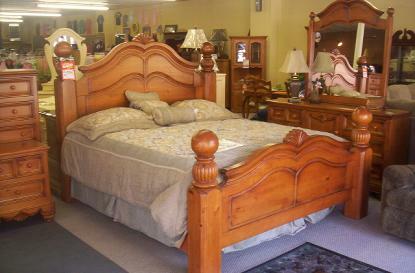 Warfield Furniture & CLASSIC BOUTIQUE specializes in the sale of high-quality home furnishings and clothing at unbeatable prices. Come on in and let us help you enjoy a comfortable lifestyle. Also have a huge selection of select name brand apparels to choose from.